Ideal for the whole family, Sebamed is recommended by leading dermatologists for everyday care of healthy skin and to actively assist in the treatment of sensitive and problem skin. 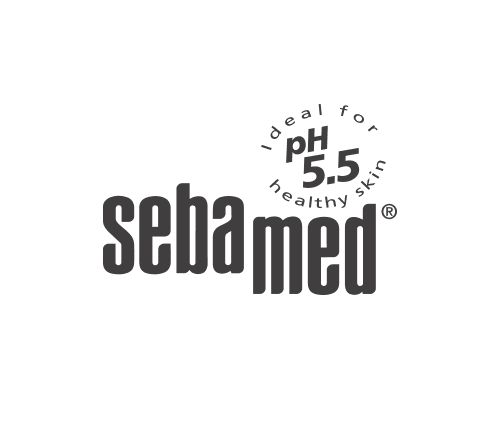 Sebamed’s ultra-mild formulations, using high-purity ingredients, are adjusted to pH 5.5 and are scientifically proven to protect the skin’s natural pH barrier, which maintains your skin’s healthy pH 5.5 level. Sebamed has 6 different ranges: Classic, Baby Sebamed, Clear Face, Anti-Dry, Anti-Ageing and Suncare to suit different skin types and conditions. The ultra-gentle Baby Sebamed products care for your baby’s precious skin and protect it from dryness and irritation. With a pH balance of 5.5 to help develop and protect the baby’s skin’s natural protective layer which is not fully developed at birth. The Sebamed Clear Face Range is an absolute miracle worker for problem skin. A unique combination of antibacterial agents, soothing ingredients & pH 5.5 make Sebamed Clear Face amazingly effective at combating pimples & acne without leaving skin feeling tight and dry.